Amidst news of a major security breach and the fleeing of its chief technology officer, Chinese search engine Baidu.com has managed to post increased profit for the end of 2009. Baidu Inc. today announced its unaudited financial results for the fourth quarter and fiscal year ended December 31, 2009, and the company recorded total revenues in the fourth quarter of 2009 at CNY1.261 billion, a 39.8% increase from the corresponding period in 2008. Total revenues in fiscal year 2009 were CNY4.448 billion, a 39.1% increase from 2008. Net income in fiscal year 2009 was CNY1.485 billion, a 41.7% increase from 2008. Three months ago, Baidu stated that it expected moderate year-over-year growth for the fourth quarter of 2009 due to the temporary negative impact anticipated when its Online Marketing Classic Edition service was discontinued. "The year ended on a positive note as Phoenix Nest's better than anticipated performance helped us to exceed expectations for the fourth quarter," said Robin Li, Baidu's chairman and chief executive officer. "This encouraging performance is a reflection of Baidu's relentless focus on execution and innovation. With a solid base of users and customers, our foundation is stronger than ever and we will continue to drive innovation to capture market opportunities ahead." 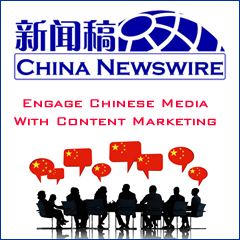 Online marketing revenues for the fourth quarter of 2009 were CNY1.260 billion, representing a 39.8% increase from the corresponding period in 2008. Baidu had about 223,000 active online marketing customers in the fourth quarter of 2009, representing a 13.2% increase from the corresponding period in 2008 and a 3.2% increase from the previous quarter. As of December 31, 2009, Baidu.com stated that it had cash, cash equivalents and short-term investments of CNY4.581 billion. Net operating cash inflow and capital expenditures for the fourth quarter of 2009 were CNY779.1 million and CNY146.3 million, respectively. Baidu currently expects to generate total revenues in an amount ranging from CNY1.200 billion to CNY1.235 billion for the first quarter of 2010, representing a 48% to 52% year-over-year increase. One month ago, Baidu.com's chief technology officer, Li Yinan, abruptly left the Chinese online search engine company. This news came days after the search engine was hit by a hacker attack. At 07:00 on January 12, 2010, Baidu.com experienced a massive failure and users in many cities and provinces in China said they were unable to visit the website. The search engine provider published an official announcement, stating that the reason for users' failure to access Baidu.com was attributed to illegal domain name tampering by its domain name registrar in the United States. However, other media reported that Baidu.com may have been attacked by Iranian hackers because some users saw a banner for the "Iranian Cyber Army" when they tried to access Baidu's homepage.